If the acquisition went ahead, it would have been one of the largest in global corporate history. Addressing the takeover bid made last Friday, both Unilever and Kraft Heinz said “Kraft Heinz has amicably agreed to withdraw its proposal for a combination of the two companies”. “Unilever and Kraft Heinz hold each other in high regard,” the joint statement said. “Kraft Heinz has the utmost respect for the culture, strategy and leadership of Unilever,” the statement concluded. Both Unilever and Kraft Heinz shares jumped when news of the acquisition bid was made public. Unilever’s increased by 13 per cent and Kraft Heinz by 11 per cent. Unilever is based in the Netherlands and the United Kingdom, but has a large international presence, including in Australia. Within Australia it is responsible for numerous food, drink, personal care and home care brands including Lipton, Flora, Continental, Bertolli, Bushells, Streets and Lan Choo. Within the US, Kraft Heinz is also responsible for numerous household brands including Golden Circle, Philadelphia Cream Cheese and Watties. 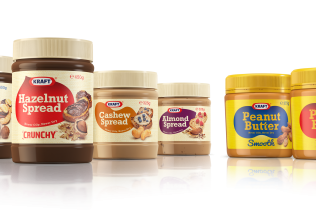 In Australia, a lot of Kraft brands were acquired in 2012 by Mondelez International which In January 2017 sold the Australian rights to most of these products to Bega – including Kraft peanut butter, nut spreads, processed cheese slices, mayonnaise, cheese spread and Mac and Cheese. Kraft Heinz owns the rights to Philadelphia cream cheese but it is sold by Mondelez in Australia. In Australia, Kraft Heinz controls Golden Circle, Watties, Cottee’s, Greenseas, The Original Juice Co, as well as Heinz branded products under the company name “H.J Heinz Company Australia Ltd”.